Squinting against the sun, with the wind at your back and the taste of salt-spray on your lips, and your hands gripping the tiller… There’s something about going out on the water as your own skipper that simply can’t be surpassed. 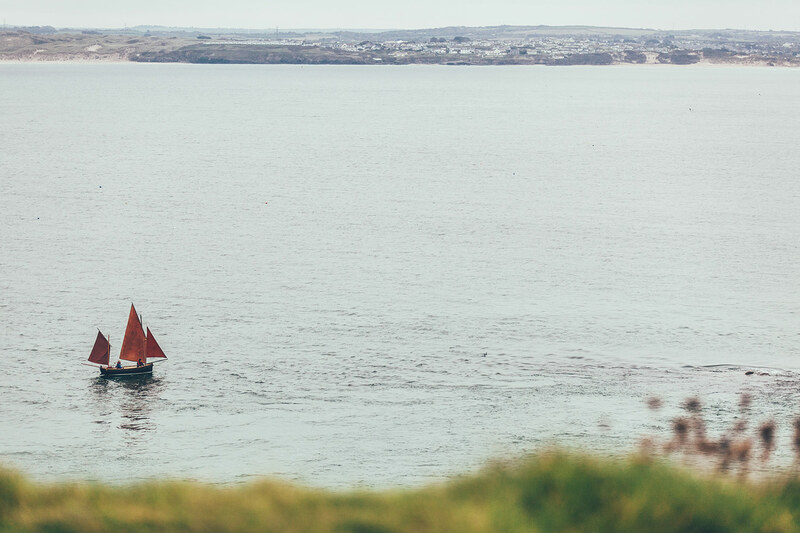 As you can imagine, sailing in St Ives is a popular pastime among locals and visitors; and whatever your level of experience, you can make the most of this beautiful Atlantic setting under sail. 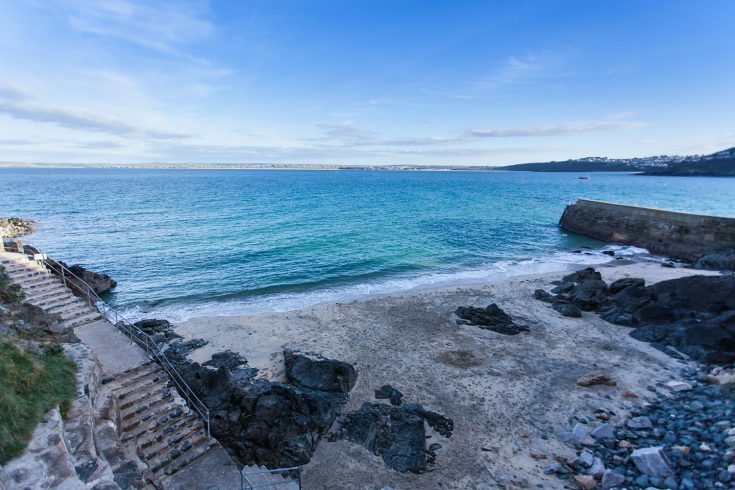 St Ives Sailing Club is a small and approachable club located behind the famous Sloop Inn. If you’re an experienced sailor, you’re welcome to join as an “out of county” member. It currently costs just £25, with an additional £5 dinghy donation when you sail. 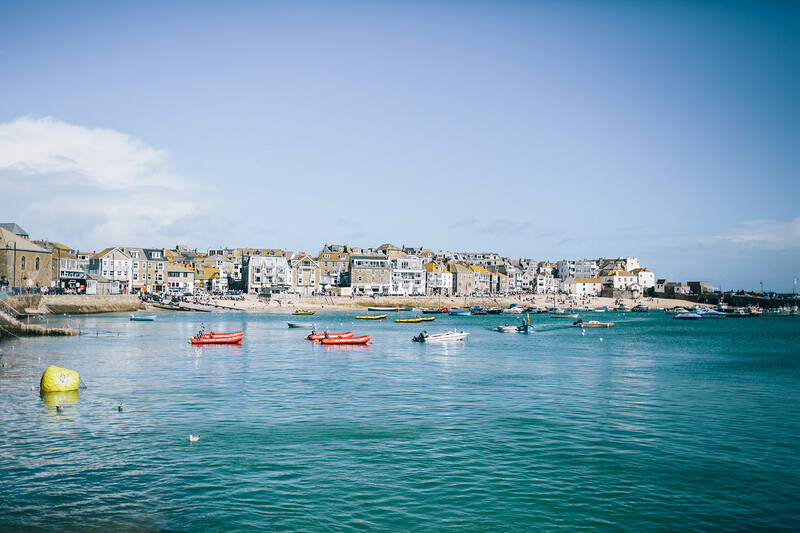 If you want to reserve a boat while you’re staying in St Ives, just pop down to the club at 5pm on a Wednesday or 12 noon on Saturdays. If you’re bringing your own dinghy with you to St Ives, you can store them in the club’s boat pen during your stay for a reasonable fee. It’s worth booking this well in advance, as spaces are limited. Ocean Sports is located on the gorgeous Carbis Bay Beach. 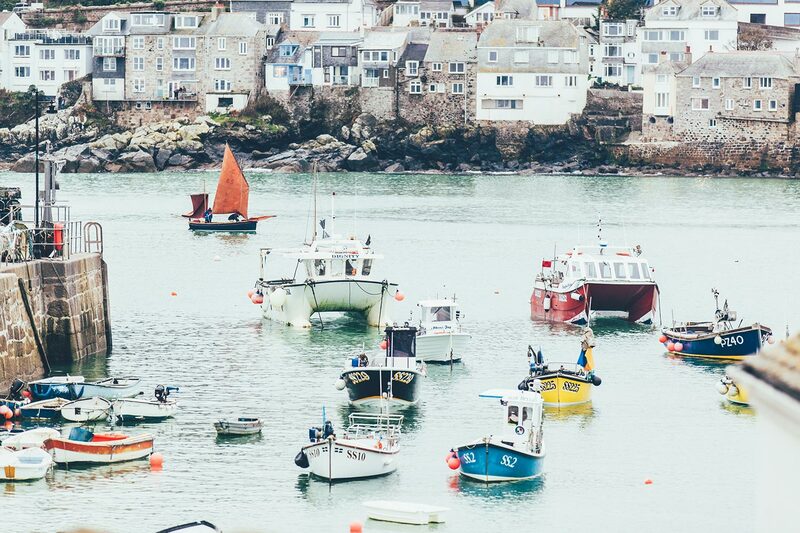 It’s one of those incredible Cornish beaches that looks more Mediterranean than British, with its pine-fringed bright sands and always-blue sea – an unforgettable place to try your hand at sailing. Ocean Sports offers all manner of sea-based activities, training, and equipment hire, including sailing experiences for sailors of varying skills. If you’re a novice, try a “Topper Taster” session with an instructor, either on your own or in a small group. If a few of you want to go out together, book a Hobie Experience session with an instructor. The Hobie 16 is a super-fast sailing dinghy that flies over the waves at 20 knots. All the kit you need is supplied for both these activities. If you have a RYA National Level 2 (and can show your certificate) and are over 18, you can hire a Topper plus buoyancy aids for one or two hours. If you want a trip on the water without a sail, have a chat with St Ives Self Drive Boat Rental opposite the Sloop Inn. They run during the main season, and have a fleet of five and six-seater motorboats. They’ll supply life jackets for your entire crew – and even have canine versions! You can also hire single or double kayaks.